Multiple plot lines all come to a head, completely shuffling the deck as we head into the last few episodes. First, Preacher Billy (Joe Mazzello)’s sister Cassie (Lindsay Pulsipher) shows up at Ava’s bar, looking for Ellen May (Abby Miller). Apparently Ellen May contacted a fellow parishioner, and Cassie is concerned. This is of course news to Ava (Joelle Carter), who believed that Colt (Ron Eldard) had killed Ellen May on Boyd (Walton Goggins)’s orders. Meanwhile, Marshall Tim Gutterson (Jacob Pitts) is following Colt, suspecting him in the death of an old army friend. So when Colt is sent out to talk to Cassie, Marshall Gutterson is on hand to keep her from getting killed. Boyd shows up second later, having learned from Johnny (David Meunier) that Colt can’t be trusted, and before you know it, everyone knows that Ellen May is alive and that Colt has betrayed them all because he’s a messed up junkie. I guess this is where Raylan tosses his father’s murderer a good beating, but Raylan kind of hates his dad, so the beating is half-hearted at best. In fact, he and his dad’s murderer almost kind of get along. 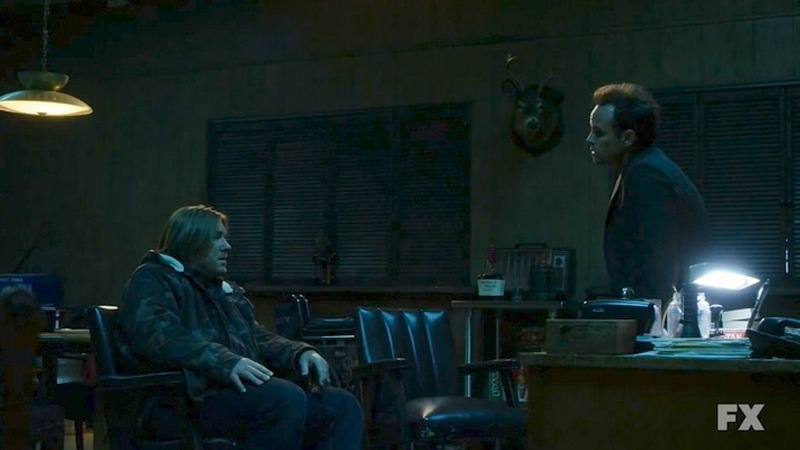 Worried that Raylan might put the hurt on Hunter, his boss puts a bolo out on him, which leads Sheriff Shelby Parlow (Jim Beaver) to find Raylan. Instead of bringing Raylan in Shelby tags along for reasons of his own. 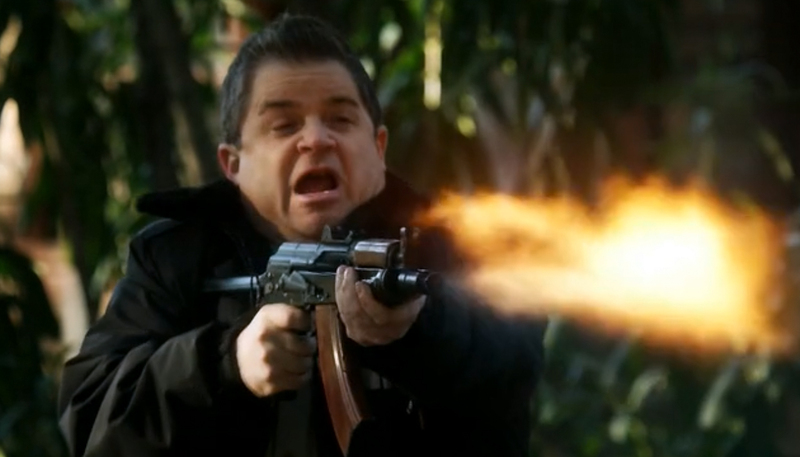 Constable Bob (Patton Oswalt) makes a welcome appearance this episode when he is tasked with keeping an eye on a pair of Harlan County power brokers who may know the identity of Drew Thompson. Unable to sit tight, Bob escalates the house sitting into full out warfare, firing a machine gun into the house. Ridiculous, and practically and advertisement for gun control. Sheriff Shelby Parlow is Drew Thompson. Parlow/Thompson makes good his escape, something he’s rather good at, I suppose. Also, Colt reveals to Boyd that Sheriff Parlow knows that Ellen May is alive. This gets Boyd thinking that the Sheriff, who he believes is bought and paid for, might be holding out on him. 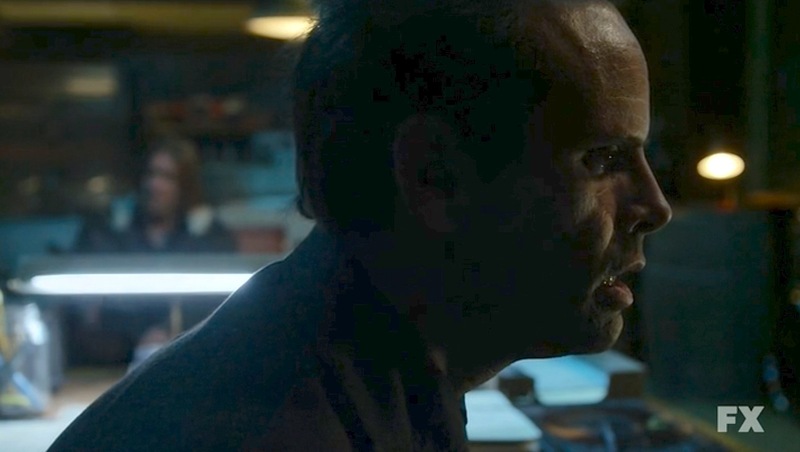 Boyd breaks into Parlow’s house, only to be arrested by Raylan and the US Marshall Service. They aren’t there about Ellen May, of course, and Boyd puts it together. Now Parlow’s secret is out, and its only a matter of time before the mob is involved, because Drew Thompson is the man who can link notorious mobster Theo Tonin to a decades old murder. So now Drew Thompson is in the wind with Ellen May. Hunted by the mob and by the Marshall Service, and with poor Ellen May in tow, he just became the most interesting character on TV. Next episode should be a hoot.